Independent watchdogs like us are critical to democracy. Watchdogs demand transparency and accountability and take a deeper look at what’s really going on. 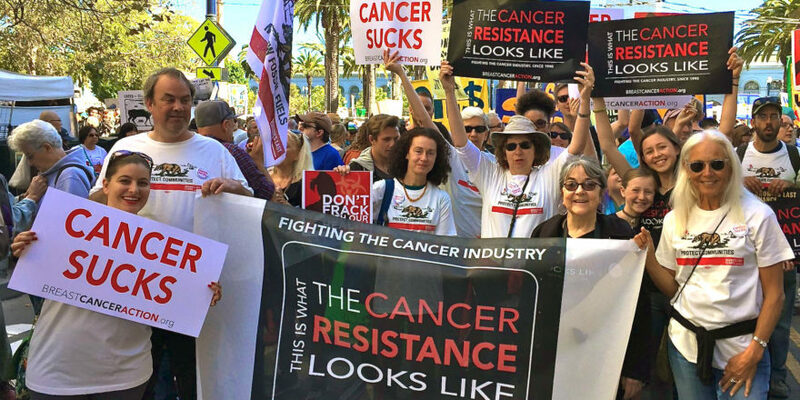 We raise the alarm when regulatory agencies lie about water contamination, when elected officials ignore spiraling drug prices, or when huge corporations make money off of poisoning us. And then we take action to change things. 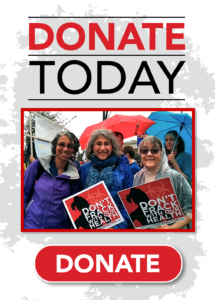 Your donation of $25, $50, or $100 goes a long way at our small but mighty organization. Breast Cancer Action is the only organization in the U.S. that addresses the breast cancer epidemic at the crossroads of breast cancer, the environment, social justice, and feminism. Right now, we need lots of organizations and individuals working on all fronts to protect women’s health. Our role as an independent watchdog for women at risk of and living with breast cancer is a crucial piece of this puzzle. If you haven’t yet, please make your year-end donation now! We have a strict (and rare!) conflict of interest policy—which means we can call B.S. when we see it, without worrying we might offend corporate funders. We’re not interested in bandaging a broken system or playing nice with people or corporations that harm women’s health. We’re here to call out where the system is broken and take action to transform it. We need your support now more than ever. Stand up for women at risk of and living with breast cancer by making a donation for social change TODAY. Breast Cancer Action has never been your typical breast cancer organization. That’s why we all chose to work here—because we want to work for an organization that isn’t beholden to corporate agendas and can tell the truth about toxic chemicals and toxic treatments. Since the election, we’ve been even prouder to work here. And we know our work is more vital than ever. We need your support right now to fund our work to challenge the cancer industry and stop this terrible epidemic that is killing too many of the people we love. Please make a donation right now.